Michigan’s weather is always unpredictable. With fall comes countless days of windblown hair. 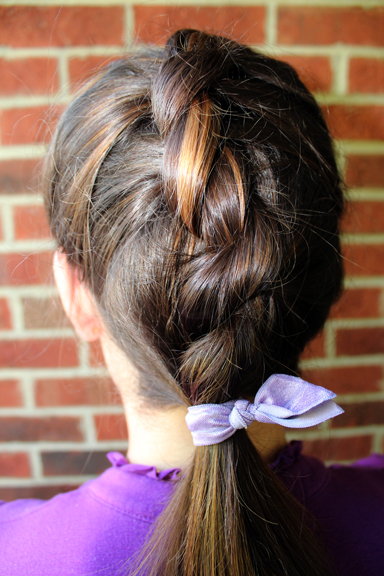 Braids are the perfect way to counterbalance a windy day. A rope or unicorn braid is my recent favorite; it takes only minutes to make, and still looks adorable after a breezy day. 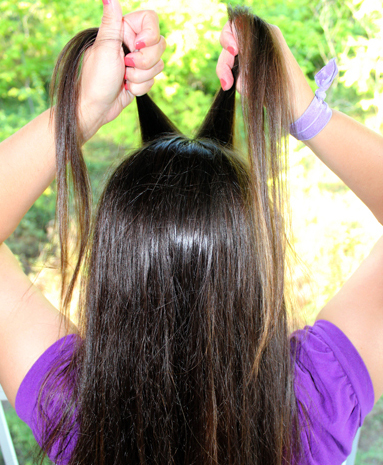 1. begin with semi straightened hair (mine was very wind blown) and grab two small sections at your crown. 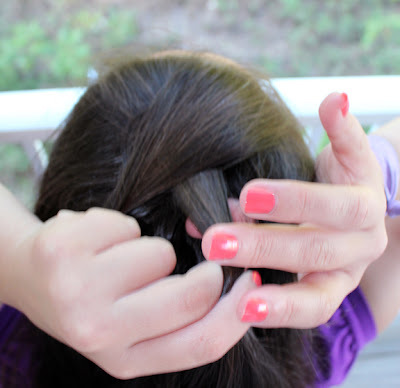 2. place the right piece of hair over the left and repeat again. 3. add some hair to the right and left section section, and then place the right section over the left. 4. continue adding hair to each side and crossing the right section over the left. 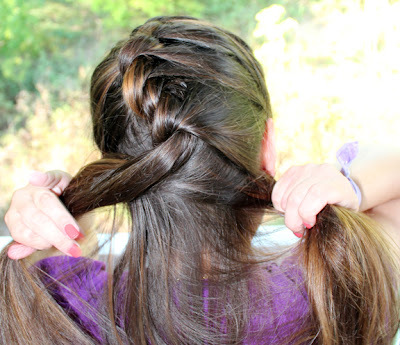 add a hair tie when finished. So cute, and I love your nail polish! Very pretty - I'm terrible at making braids. OK, that is too cute!!! Thanks for the follow! 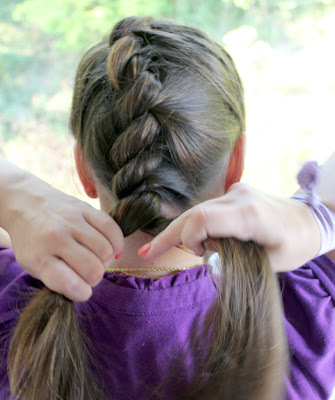 I'm a huge fan of braids and will be adding this one to the list! Very cute and unique, too! That is a new kind of braid to me! Very pretty.